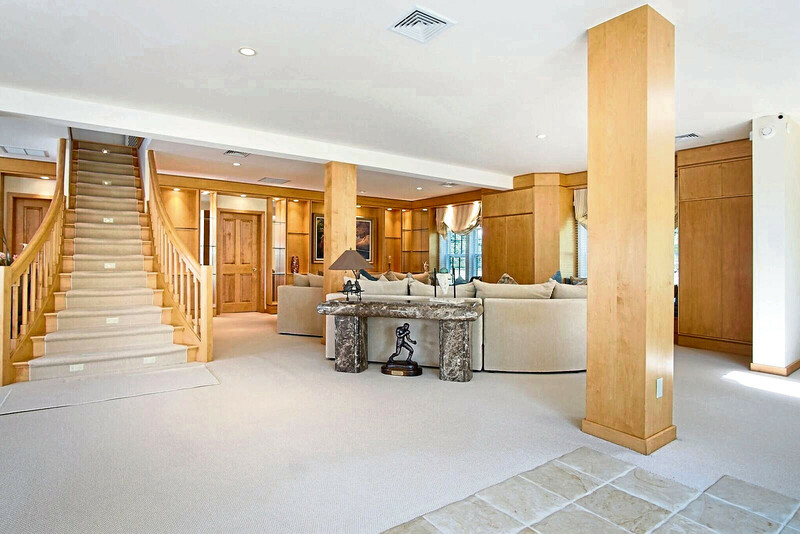 This 81-acre property in Berrien Springs, Michigan was home to Muhammad Ali and his family. He was the greatest and never tired of telling people that. American boxer and activist Muhammad Ali is rightly regarded as one of the most famous, inspirational and best-loved sporting figures of all time. In 1975, almost 10 years before he was diagnosed with Parkinson’s disease, he bought an 81-acre property in Berrien Springs, Michigan, insulated from city noise and crowds by the St James River which surrounds the lush green fields. It was where he spent his summers and a portion of his retirement years until his Parkinson’s became more advanced. That house is now on the market at offers over $2,895,037, a figure which will mean something to boxing fans. Originally called Cassius Clay, Ali grew up in Louisville, Kentucky. When he was aged 12, a twist of fate changed his life. After his bike was stolen he reported the theft to a policeman and told him he wanted to fight the thief. That policeman introduced him to a police-sponsored youth boxing club where he was amazed to see blacks and whites fighting each other as though colour segregation, in place at that time, didn’t matter. That’s when he saw his future which led him to Olympic Gold and becoming one of the all-time boxing champions and an international icon of the sporting world. The farm in southwest Michigan, near Indiana, was where Ali and his family could relax away from prying eyes. A river encloses three sides of the property ensuring they had lots of privacy, while the house was designed exactly the way Ali wanted. 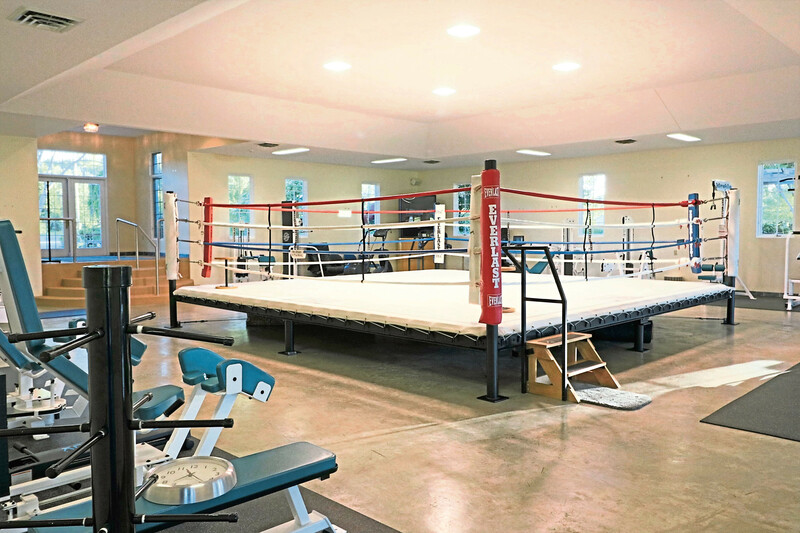 He added buildings, customised things to suit his needs, such as creating an elaborate gym with a boxing ring in the centre, exercise equipment, a steam room, baths, massage room, laundry and spa. A few steps outside the gym’s french doors is a full-size basketball court. Next door to the gym is Ali’s private office, conference area, private bath, mail room, vault, kitchen, loading dock and several other offices and a basement. The sale includes two houses which are on either side of a pool and terrace which comes complete with a fully-equipped outdoor kitchen, bath house, sound system and pergola. The main house has four bedrooms, living and family rooms and kitchen with large pantry and a three-car, climate-controlled garage. The carriage guest house also has a sun room and deck overlooking the pond and fountain by the river. 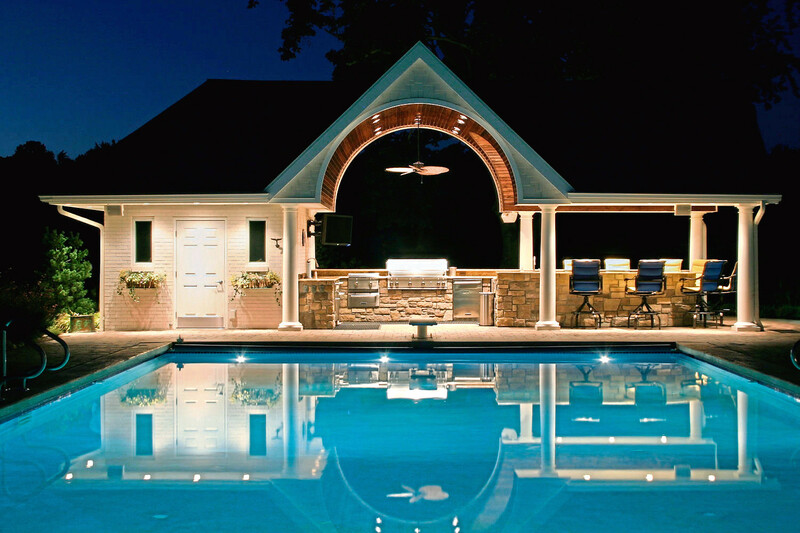 Grounds are lushly landscaped with fire pit and a waterfall rock garden. 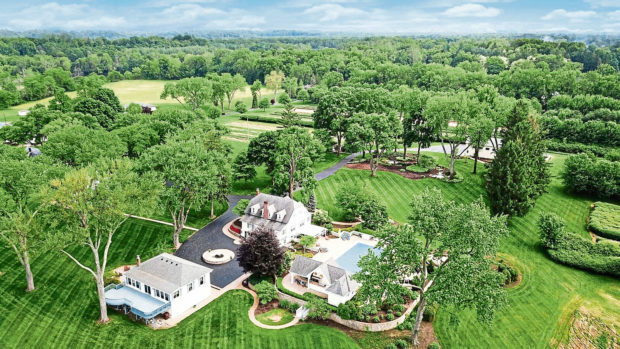 Muhammad Ali’s pastoral Michigan home, which had every amenity to make a world champion boxer happy in his time off, is now for sale at a very specific price as the last two numbers represent his 37 career knockouts.